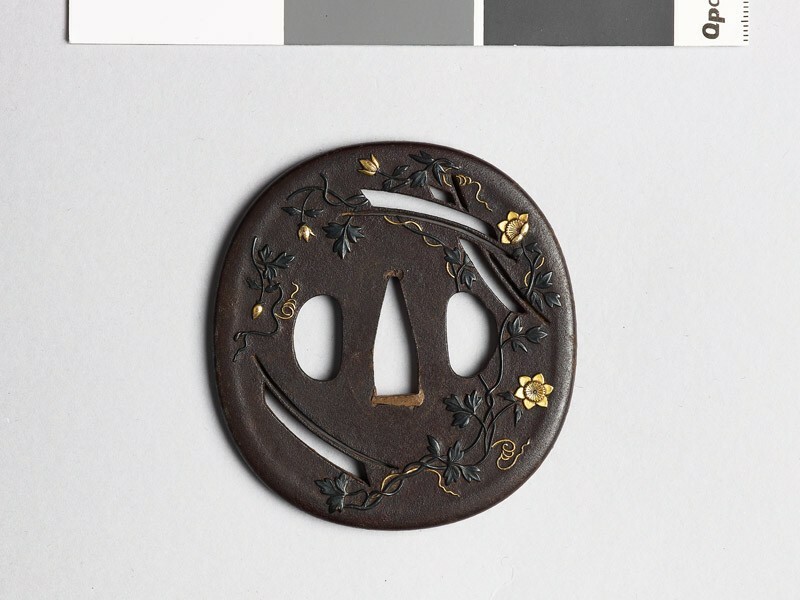 Slightly thickened towards the rounded edge; pierced with three yahadzu (two crossing above, a single one below) and encrusted on the front with trails of clematis, on the back with susuki grass (Eularia), in shakudō with gold flowers and tendrils. The yahadzu represents a single feather from an arrow, and two of them crossed (as here and on No.1117 [EAX.11117]), with the barred markings rendered, form the badge of the Katagiri family. They have been incorrectly described as "pieces of paper".